Directly and Indirectly Social Labor: What Kind of Human Relations Can Transcend Capitalism? In exploring how to go “beyond capitalism,” we need to first ask why it has been so difficult to develop a comprehensive alternative to capitalism. One reason is the nature of capitalism, which creates the false impression that alienated human relations are natural and immutable. Capital’s ability to naturalize conditions of oppression is central to its ideological dominance. Another reason for the difficulty in envisioning an alternative is the failed attempts to emancipate humanity from capitalism. The failure of many revolutions to create a truly new society solidifies the view that there is no alternative to being subordinated to social laws outside our control. And there is yet a third reason that it has been hard to develop an alternative—the decline of interest in Marx’s work over the past few decades. Marx was not just one of many important thinkers. Marx was the founder of a unique philosophy of revolution that contained a specific concept of a new society. The less direct study and discussion there is of Marx’s works, the harder it becomes to envision an alternative to capitalism itself. For this reason, we aim to seriously explore Marx. It will not do to focus on bits and pieces of his work that may or may not be to our liking. We instead have to grapple with his ideas as a whole. But grappling with his ideas as a whole entails grappling with his ideas in their specificity. Without doing so it is not possible to grasp Marx’s ideas at all. So let’s take a closer look at the work that contains Marx’s most detailed discussion of a non-capitalist society—his 1875 Critique of the Gotha Program. 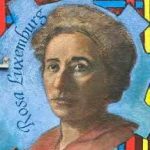 In Rosa Luxemburg, Women’s Liberation, and Marx’s Philosophy of Revolution, Raya Dunayevskaya wrote: “Marx’s Critique of the Gotha Program has not yet been fully digested” (p. 189). This is a startling statement, given that Marx wrote the Critique in 1875. What has “not yet been fully digested” about it? Dunayevskaya states: “What must tower above all struggles against exploitation, nationally and internationally, is the perspective of a totally classless society; the vision of its ground would be ‘from each according to his ability, to each according to his need.’ To this day, this remains the perspective for the future.” This refers to Marx’s discussion in the Critique of what prevails in the “higher phase” of communism. She then adds: “The Marxists who keep quoting [“from each according to his ability, to each according to his need”] never bother to study just how concretely that arose from the critique of the supposedly socialist program, and what would be required to make that real” (pp. 156-57). Please note that she does not say that the Marxists ignored Marx’s concept of “from each according to their ability, to each according to their need.” She says instead that they kept quoting it without bothering to study “what would be required to make that real.” This defect applies not just to other Marxists, but to us too—since only now, with our last Convention and these classes, have we begun to explore what is needed to make “from each according to his ability, to each according to his need” a reality. “In a higher phase of communist society, after the tyrannical subordination of individuals according to the division of labor and thereby also the distinction between manual and intellectual labor, have disappeared, after labor has become not merely a means to live but is itself the prime necessity of living, after the powers of production have also increased and all the springs of cooperative wealth are gushing more freely along with the all-round development of the individual, then and then only can the narrow bourgeois horizon of rights be left far behind and society will inscribe on its banner: ‘From each according to his ability, to each according to his need’” (p. 31). Clearly, it is going to take a long time to achieve all of this, even after the greatest of revolutions. Marx never wavered from this view. As he wrote during the Paris Commune of 1871: “The working class knows that in order to work out their own emancipation…they will have to pass through long struggles, through a series of historic processes, transforming circumstances and people.” To reach “from each according to his ability, to each according to his need” we will first need to rid ourselves of what Marx has earlier called “the muck of the ages”—and that is going to take time. For this reason, Marx distinguished between a “lower” or defective phase of communism and a “higher” phase in which the vestiges of the old society are finally fully left behind. Before going into Marx’s discussion of the lower or initial phase of communism, we need to take note of the grave confusion that characterizes most discussions of this issue. All serious Marxists know that “from each according to his ability, to each according to his need” cannot be achieved immediately following a revolution. But many wrongly conclude that a lengthy “transitional” society is needed before full communism could be reached. Some call this “transitional” society “socialism,” to distinguish it from the “higher” stage of communism—even though Marx never made any distinction between socialism and communism. Others define a transitional society as state-capitalism under the control of a “workers’ party.” And others define a transitional society as one of “freely associated” cooperatives that have not yet freed themselves from the capitalist law of value. None of these concepts have anything to do with Marx’s view of the lower and higher phases of communism. Much of the reason for the vast difference between Marx’s concept and those of post-Marx Marxists was the outcome of the Russian Revolution of 1917. It was a great revolution in history, but it occurred in a backward country that became isolated when the revolutions in West Europe failed to materialize. As Marx never ceased to emphasize, and as every Marxist before 1917 fully knew, it is impossible for a single country, even the size of Russia, to abolish the capitalist law of value and to create socialism by itself. Even when Marx raised the possibility that Russia might be able to bypass capitalism on the basis of its indigenous precapitalist communal forms, he insisted it could do so only if there was a successful proletarian revolution in the advanced capitalist countries. While Lenin’s regime took some steps after 1917 suppress the capitalist law of value, it reconstituted itself in a new form as the revolution became increasingly isolated. Thus, even the greatest revolution in history failed to reach what Marx considered the initial, first phase of communism. Nor has any revolution reached it since then, whether the massive Chinese national revolution of 1949 or the popular-front kind of revolutions that brought Castro to power in 1959 or the Sandinistas to power in 1979. In her “Questions and Answers Regarding the Theory of State-Capitalism” from the 1940s, Dunayevskaya called the early years of the Russian Revolution a “transitional state”—not a transitional society. A transitional state, she said, is a workers’ state that aims to break down the capitalist law of value by providing for workers control of production while reaching for world revolution. Once the latter occurs, she held, there is no need for a “transitional” society to reach socialism. That itself would be socialism, albeit in the first, initial, “lower” phase that Marx spelled out in his Critique of the Gotha Program. The question facing us today is this: does Marx’s discussion of the passage from the “lower” to “higher” phases of communism in his Critique of the Gotha Program provide an alternative to the failed revolutions of the past 100 years by illuminating the need for a “totally new kind of revolt in which everyone experiences absolute liberation”? With this question in mind, let’s look more closely at Marx’s Critique of the Gotha Program, in which he sharply criticized his “Marxist” followers for agreeing to an organizational unity with the adherents of Ferdinand Lassalle. We have already discussed Marx’s view of what prevails in the “higher” phase of communism—”from each according to his ability, to each according to his need” (the concept originally derives from the Acts of the Apostles in the New Testament). We have also noted Marx’s view that this cannot be achieved immediately after a revolution. According to Marx what will emerge after a social revolution is “a communist society, not as if it had developed on the basis of its own, but on the contrary as it emerges from capitalist society, which is thus in every respect still tainted economically, morally, and intellectually with the hereditary diseases of the old society from whose womb it is emerging” (p. 29). What does Marx mean by “individual labor no longer exists as an indirectly but as a directly constituent part of the total labor”? By “total labor” he means the sum total of the actual amount of labor performed in society. By “individual labor” he means a specific component part of the amount of that total labor. In the initial phase of a new society labor is “directly social” insofar as living labor is a specific component part of the total amount of labor performed in society. Labor is not characterized by a dual form of individual working time versus the amount of social labor that it represents. A very different situation exists under capitalism, where individual labor is not directly part of the sum total of actual labor. The amount of value created by an individual unit of labor is determined by an abstract, social average that exists apart from the subjectivity of the laborer—socially necessary labor time. In capitalism it is not actual labor time but “currently necessary labor time that determines value” [MECW 28, p. 73]). An individual hour of labor therefore counts only as indirectly social. It cannot be otherwise so long as value production exists. Yet once value production is abolished individual labor exists “as a directly constituent part of the total labor” since labor is no longer governed by socially necessary labor time. The three characteristics that Marx singles out about the lower phase of communism clearly amount to the abolition of capitalism. The law of value no longer exists, so wage labor and capital no longer exist. They no longer exist because in the “lower” phase of communism freely associated workers have created new production relations that dispense with abstract or alienated labor. 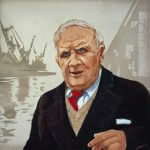 The proof of their creation of a new production relation is the fact that “individual labor no longer exists as an indirectly but as a directly constituent part of the total labor.” The replacement of indirect social labor by direct social labor signifies the abolition of capitalist value production. To fully grasp this distinction between indirect and direct social labor, it is crucial to know what Marx means by the word “social.” Marx wrote in the Grundrisse: “Society does not consist of individuals, but expresses the sum of the relationships and conditions in which these individuals stand to one another” (MECW 28, p. 195). Society, according to Marx, is not the mere sum total of individuals; society is rather “the sum of the relationships and conditions in which these individuals stand to one another.” The form of these relations defines the nature of any given society. In precapitalist societies social relations were direct. The lord oppressed the serf, but their relation was transparent, defined by inter-personal interactions between individuals. It is very different in capitalism, where inter-personal relations are mediated by an abstraction—exchange value. Social relations are indirect and non-transparent. That is because labor undergoes a split between concrete and abstract labor. Abstract labor is the substance of value and exchange value is the social form of value. In pre-capitalism we are “social” insofar as we directly bind ourselves together; in capitalism, we are “social” insofar as we are bound together indirectly by the value form of mediation. To grasp Marx’s position it is essential to grasp what he means by social labor. For example, what does he mean by “private labor becomes the form of its opposite, directly social labor.” Does “social labor” here mean directly social as in transparent? Or does it mean that labor is directly social in capitalism only to the extent that it produces money, the universal equivalent that allows all products of labor to be exchanged? One knows only by paying close attention to Marx’s use of these specific concepts. 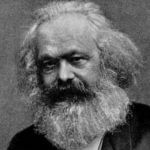 All this is crucial for grasping Marx’s insistence that in the lower phase of communism “individual labor no longer exists as an indirectly but as a directly constituent part of the total labor.” When individual labor counts as directly social labor society is no longer governed by value production. It is no longer governed by value production because living labor has freed itself from socially necessary labor time—a social average that operates irrespective of the specific individuality of the worker. 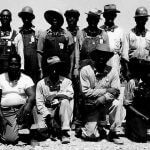 With labor no longer subjected to the dominance of socially necessary labor time, the split in the category of labor between abstract and concrete labor is healed and value production comes to an end. Production is now geared for use, not for augmenting value. Indirect social labor, based on the value-form of mediation, is replaced by direct social labor, based on “transparent” interpersonal relations between the producers. So far we’ve been discussing the Critique of the Gotha Program’s view of what happens to production relations in the “lower phase” of communism. According to Marx specific relations of production give rise to specific relations of distribution. Since a new mode of production emerges in the “lower” phase of communism, a new mode of distribution must emerge as well. So what is this new mode of distribution? Much of Marx’s Critique focuses on distribution. He viciously attacks the Gotha Program because it said virtually nothing about production relations while what it stated about relations of distribution was all wrong. He especially took issue with its statement that in a new society “each individual obtains the ‘undiminished fruit’” of his labor. It’s easy to say that Lassalle and many Marxists were wrong headed, but I bet there is much in the Gotha Program that would resonate with today’s radicals. Take this idea that each individual has the right to the “undiminished fruit” of his labor. What’s wrong with that? Marx viciously attacks this because it ignores the need to divide the social product between society—as for maintaining the productive apparatus, schools, hospitals, etc.—and individual workers. One part of the social product will go to replenish the means of production; the other will be allocated among the individual members of society. Thus, there is no “right” to the “undiminished fruit” of one’s labor. How is this allocation among the individual members of society to be arranged? It’s can’t be on the basis of “from each according to his ability, to each according to his need” because although value production has ended, the abolition of the division of mental and manual labor, the fragmentation of the individual, and labor as a means to an end has not yet been fully achieved. Relations of distribution, Marx insists, follows from and become determined by the underlying relations of production. Distribution in this “lower” phase, Marx says, is based on the following: “The individual producer receives back again from society, with deductions, exactly what he gives. What he has given to society is his individual amount of labor” (p. 29). The worker receives from society a voucher or token that he has “contributed such and such a quantity of work (after deductions from his work for the common fund)” and from it obtains from “the social storehouse as much of the means of consumption as the same quantity of work.” Please note that Marx does not say that the worker’s labor time is computed on the basis of a social average. Labor time here simply means the amount of actual time worked. This is completely different than in capitalism, where remuneration is based not on the actual amount of labor time but on a social average, socially necessary labor time. As Marx puts it, “The same amount of work which he has given to society in one form, he receives back in another.” The individual worker receives back from society a part of his individual amount of labor. Amount, not Value! Since many have misconstrued what Marx is saying in the Critique, we must contrast his advocacy of remuneration based on labor time with the Proudhonist theory of “time chits” or labor tokens. In the Grundrisse Marx wrote, “the labor time ticket [advocated by Proudhon] represents the average labor time, which would never correspond to the actual labor time” (p. 77). Here lies the difference between a direct exchange of labor time for products and value production. In capitalism products of labor do not exchange against one another. They exchange through the mediation of a “third thing”—labor time as such, the abstract social average of labor time. The exchange is therefore indirect, not a direct one of product for product (be that a material object or a segment of time). To try to make the exchange process “direct” by dispensing with money and using a labor token or time chit without uprooting value production is inherently self-defeating and quixotic. It amounts to trying to impose a direct social relation upon social relations that are by their very nature indirect. Herein lies the folly, as Marx sees it, of Proudhon’s labor token as a substitute for money. However, Marx’s critique of Proudhon by no means invalidates the notion of a labor token as such—so long as it is predicated upon the abolition of value production. A society based on directly social labor, in which labor is mediated not by socially necessary labor time but by its own “natural” sensuousness, allows for the direct exchange of products for actual labor time that is never possible under capitalism. The real tragedy is that even some of the greatest Marxists have failed to grasp the great divide between Marx’s concept of remuneration based on labor time and the capitalist law of value. Take George Lukács. In his book, The Process of Democratization, Lukács stated that Marx’s view that labor time serves as the “measure of the individual’s share in common labor” in the lower phase of the new society is the same as the socially necessary labor time that prevails under capitalism! Lukács therefore concluded that the law of value continues to operate under “socialism.” Nothing could be further from the truth. Marx says “obviously the same principle” applies in the lower phase of the new society and capitalism only in the sense that an exchange of equivalents occurs in the exchange of labor time for products; but the nature of that exchange is qualitatively different than in capitalism because in the lower phase of the new society distribution is based on the actual amount of time worked (what Marx calls “the natural measure of time”) instead of the socially necessary average labor time that prevails under capitalism. By failing to grasp the difference between the actual amount of time worked and the abstract social average of labor time, Lukács ends up concluding that not only the law of value but also the exploitation of labor continues to operate under “socialism”! His only remedy to the horrors of so-called “socialism” is therefore to call for greater democracy in the political sphere. Lack of clarity on this issue continues today. 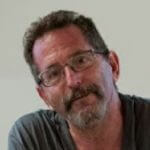 Franklin Dmitryev argued in Post-Convention Discussion Bulletin No. 2 that “Marx also brought distribution by labor time into Capital I, chapter 1, but only as a example, where the point was to show that under freely associated labor, social relations would be direct and transparent…” He is apparently suggesting that Marx didn’t literally propose distribution according to labor time, but simply used it as an example to say something else. But there are a number of problems with this view. First, Marx doesn’t say he is discussing this as an example. He writes: “We shall assume, but only for the sake of a parallel with the production of commodities, that the share of each individual producer in the means of subsistence is determined by his labor time” (p. 172). Marx says there is a parallel with the old society since there is an exchange of equivalents; he does not say the exchange itself will not really take place. Second, if Marx was not for distribution according to labor time why did he spend so much time specifying the nature of such distribution in his Critique? Third, in her 1944 essay “A New Revision of Marxian Economics,” Dunayevskaya wrote: “[in] the Critique of the Gotha Program…Marx states that in a socialist society, ‘as it emerges from capitalist society,’ the laborer will receive in return for a given quantity of work the equivalent of such labor in means of consumption. The present authors reject, however, the formula that flows from these passages, namely, that labor will be paid by ‘the natural measure of labor’: time” (pp. 83-84). 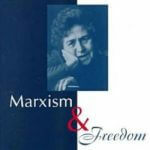 She doesn’t say that Marx used an example to say something else; she instead refers to “the formula that flows from these passages.” Fourth, in her 1985 “The Power of Abstraction” she referred to “the real historic-philosophic outline Marx sketched for future generations in his Critique of the Gotha Program” (PON, p. 313). She clearly states that it sketched out a “real outline”— something to be taken literally, not just as a mere example. Since Marx was so critical of the Gotha Program for focusing entirely on relations of distribution, why does he spend so much time discussing distribution and remuneration in his Critique? Why not just say: production relations are important, to hell with any discussion of subsidiary issues like distribution? The simple answer is that if Marx had done that he wouldn’t have been a Marxist. It is a central tenet of Marx’s Marxism that relations of distribution flow from, and are a result of, relations of production. Therefore, once Marx specifies the new kind of production relations that prevail in the new society, it becomes logically necessary for him to specify the kind of relations of distribution that will prevail as well. To do otherwise is to contradict his view that each mode of production creates an “adequate” expression of itself in relations of distribution. Those who wish to ignore what Marx says about relations of distribution in the new society therefore do great violence to his body of ideas, even if they are not conscious of doing so. For by ignoring what he has to say about distribution they are pulling apart relations of production from relations of distribution—a position that is of course the very opposite of Marx’s standpoint. We can thus sum up what we’ve seen about the lower and higher phases of communism in the Critique of the Gotha Program. Marx shows that immediately after a social revolution production relations are totally transformed, in that social labor no longer counts as an indirect part of the total social labor but rather as a direct part of it. Alienated human relations give way to transparent ones. The new mode of production in turn gives rise to a new mode of distribution, based not on the abstract medium of socially necessary labor time but on a concrete, sensuous, medium—actual labor time. The correct posing of the problem results in a correct posing of the solution. Of course, objections can be raised to Marx’s approach. Let’s look briefly at one objection. At the end of chapter 1 of Capital Marx clarifies what he means by “directly social labor” by looking back on precapitalist societies. As Kevin Anderson noted in class 1, these passages were added to the French edition of Capital after the Paris Commune (the passage where Marx looks forward to the new society, “Let us imagine, finally, an association of free men,” was in the original 1867 edition). Now one may object that since direct social relations in precapitalism were characterized by class hierarchy and patriarchy, what is to stop the “directly social labor” of the “new” society from suffering from the same defects? Marx partly answers the answer when he says at the end of the chapter that creating truly free human relations “requires that society possess a material foundation.” The material backwardness of precapitalist societies made hierarchy and patriarchy necessary for generating a surplus product. Marx suggests this no longer prevails by the time of a revolution against capitalism. Yet while material conditions may provide for the possibility of a free society, they do not guarantee it. What guarantees it is the praxis of revolutionary subjects who uproot the hierarchical and patriarchal relations that have characterized all class societies. Here is where our age has an advantage over Marx’s, in that ours is characterized not just by workers’ struggles but also by an independent feminist movement, anti-racist struggles and struggles by youth, indigenous peoples, gays and lesbians, and others. These revolutionary forces have the capacity to strip away all hierarchical and patriarchal formations through a thoroughgoing and permanent social revolution. The presence of these forces does not detract from the importance of replacing indirect social labor by direct social labor; they further reinforce its importance insofar as they provide the reason as well as force that can make Marx’s vision of absolute liberation a reality. Yet this in turn raises a difficult issue that Dunayevskaya asked us to grapple with. It is summed up in the following statement by her: “Have we faced the harsh reality that, unless the inseparability between the dialectics of thought and of revolution does exist, any country that does succeed in its revolution may retrogress, since the world revolution cannot occur at one stroke everywhere and world capitalism continues to exist?” Even the greatest amount of self-activity and subjective self-awareness on the part of the subjects of revolt will not stop a revolution from retrogressing back into capitalism if it is not inseparable from a philosophy of revolution that can determine what to do in the interim between any country’s revolution and the world revolution. To steer our way through the “manure of contradictions” (as Lukács put it) that is sure to confront even the most successful revolution, the dialectics of revolution must become joined with the dialectics of thought as found in a body of ideas—Marx’s philosophy of “revolution in permanence.” Without philosophy as mediation, a totally new revolt in which everyone experiences absolute liberation can’t be sustained. But how can one say that Marx’s discussion of what prevails in the lower phase of communism is an “absolute liberation?” After all, Marx says this stage is still defective in that it is marked by the birth pangs of the old society from which it has sprung. As Franklin noted in Bulletin No. 2, it may be hard to see what remuneration according to labor time has to do with “theorizing absolute liberation.” However, as we noted earlier, the law of value is abolished in this lower stage. If remuneration by labor time is not an absolute liberation, neither is the abolition of the law of value that underpins it. Still, how can the lower phase of communism represent “a totally new revolt in which everyone experiences ‘absolute liberation’” if this stage is still defective? Students of Hegelian dialectics should have no problem answering this question. Hegel wrote, “every beginning must be made from the Absolute, but it is Absolute only in its completion.” He also wrote, “the beginning must be inherently defective and must be endowed with the impulse of self-development.” As Mitch Weerth noted in his article post-Convention Discussion Bulletin No. 2, there is no contradiction between viewing Marx’s view of the lower stage of communism as an “absolute liberation” and seeing it as still “defective.” After all, beginning from the absolute while recognizing that “it is absolute only in its completion” is precisely what it means to work out absolute negativity as new beginning. As Dunayevskaya never ceased to remind us, “the movement is ceaseless.” And the movement is ceaseless only when the dialectics of thought molds revolutionary experience in such a way that the opposites of objective and subjective are no longer in separate realms. There is one other objection that can be raised to Marx’s approach: namely, that while in his time it may have been important to distinguish between a lower and higher phase of communism that is no longer needed today, given the maturity of our age and in particular the advanced state of development of the productive forces of capital. Though I do not have time to answer this objection here, we do need to recall that Marx clearly states that “from each according to his ability, to each according to his need” cannot arise until after a whole series of specific conditions are met. These include the end to the division of mental and manual labor and the end to the fragmentation of the individual. Does anyone believe that that can be achieved the day after the revolution—especially in an age when then the productive forces of capital have proven to be so intrinsically destructive of human life and the environment as they are today? If so, I’d like to see an argument put out in defense of such a position. Until that is done, Marx’s approach, as I see it, not only retains its validity but becomes essential to further explore and concretize in light of present-day realities. If we don’t do so the very big gulf between the philosophic principles contained in Marx’s 1875 Critique and organization will never be ended. The idea of a natural working time, in direct exchange for means of subsistence, is liberating. Capitalism’s socially necessary labour time is the unhuman pace of a brutal machine, set to extract maximum unpaid labour from a slave class. People are used as replaceable units of homogeneous simple labour, quantified & leveled of qualities. We are forced to work at the master’s average rate; a torturous rhythm that is not our own. We are sucked dry & our natural abilities stunted. Workers’ control is self-determined. Self-development of revolutionary philosophy & social relations begins from an unnatural division of mental & manual labour & cannot be reached except at its own pace. We seem so scared by Capitalist, socially necessary labour time, that it blocks confidence in our own reading & writing of Marx’s humanism, as organizational philosophic abilities for our own time. Capitalist education trains us to obey; trust; not think, criticize & judge for ourselves. Only the clever rule; do the intellectual labour of revolutionary philosophy. Capitalist imposition of socially necessary labour time seems to abnegate the natural time; labour for development at our own depth & pace that is necessary to break through the mind forged manacles. Describing IMHO as really serious because they’re on the job 24/7, as someone did recently, demonstrates the ceaseless movement needed to combat the Capitalist system within our thinking. The most revolutionary, humanist; marxist organization as ceaseless work without rest, fun; enjoyment of our many sided capacities! Money as a medium of exchange so dominates us, that direct social relations seems strange, yet what could be more naturally human? Abstract rates of exploitation, the duality of wages & profits, the unequal relationship of worker & boss hidden within money as the so-called universal medium of exchange, replaced by full participation of our real physical & mental capacities in a communal social project of all rounded human dimensions & qualities; the sum of relationships & conditions, each constituent parts of the total labour, freely associated; useful.